This forum is for questions, comments, or advice related to photography. May have posted in the wrong forum originally. Didn't get any hits. Over the years I have taken tons of photos. They vary from nasty to that perfect, lucky moment. The main problem is the dim light one. Both the fireworks and rides. Rides are by far the worst. I can't get a decent shot in Haunted Mansion or Pirates to save my life. What would you folks recommend? 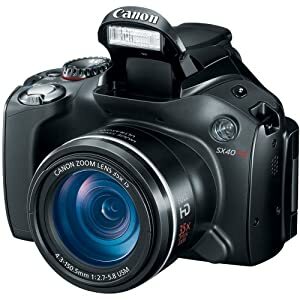 I have a limited budget so I can't get the $1000+ types but I can save a few pennies for a better than the Canon PowerShot ELPH 320 that is my current model. We are dedicated Canon users on our household and I was in a similar position as what you are describing a couple of years ago and I went with the Canon Powershot SX 40. It has more functionality than a point and shoot without being as complicated or cumbersome as a full fledged SLR. It has an awesome auto mode if you don't want to think about anything but it also has a variety of other modes that allow you to have more control if you want. It has a sports mode and a rapid fire capability which from your post sounds like you would have lots of use for. I have been thrilled with the zoom and that was one of the other things that I was really missing on my point and shoot. I also really liked that in addition to the built in flash you have the option to add a larger external flash if you wanted. However, thus far I have found that I don't need the flash very often at all. And if you are interested in seeing pictures I shot with it on our Disney cruise/WDW vacation last month please let me know and I will be happy to send you a link. Hope this helps and happy shopping! I also have the Canon SX40HS and have been very happy with it. It is easy to use (even in manual mode) and takes great pictures. I hope I helped you at least a little!